The Principality of Andorra – one of the oldest and smallest countries in Europe, squashed between Spain and France. It is an independent country whose heads of state are the President of France and the Bishop of Seo de Urgel, Spain. Probably, the country is best known for winter sports and its biggest “industry” duty free shopping. It is a mountainous land tucked in the Pyrenees; small fields scraped out of the mountainsides support cattle or are used for tobacco growing; vertiginous roads and tracks twine through the landscape. It was, in early times, a smuggler’s paradise, often carried out under the cover of the transhumance – the movement of sheep and cattle up to the high pastures in spring and back to softer ground in autumn. Accounts of 19th century smuggling tell of houses set up as receiving points for goods inwards and outwards. Often there was a “master” who paid the smugglers about 7 francs a day. If the men were caught they went unpaid and, as there was no defence against smuggling, went straight to jail. The goods were transported as 25kg loads in a canvas bag reinforced by a wood frame. This made it easier for the smugglers to dump the load and take to their heels if necessary, hiding out in the rocky mountainsides. The men travelled over French or Spanish “ports” – these were the little-known, narrow and often dangerous tracks and pathways through and over the mountains which ultimately led into France or Spain. Sometimes mules were used to carry the contraband or the men hefted the packs themselves. The men wore rope soled shoes which were light and quiet and usually made their silent way through the “ports” in small groups. Tobacco and Spanish wine were popular contraband but market demands could change. During the First World War mules were an important cargo. Mules from Spain were in high demand by the Allied armies so much so that their exportation was frowned upon by the Spanish government. Although the smuggled mules were ultimately purchased for use by the French army, there was French import duty upon live stock. This created a unique opportunity for Andorran smugglers who obtained mules from Spain by any means they could and led them over the mountain paths, at night into France. The French gendarmes were persuaded to look the other way for a small percentage per mule. The Spanish civil war brought a demand for smuggled foodstuffs, chemicals and pharmaceuticals and there was an inflow of refugees who crossed the border from Spain. Many children and wounded fighters died in makeshift camps set up just over the border. Similarly during WWII smuggled goods entered Vichy France via the mountain passes and from 1942 onwards, cross-border networks, established along tracks not closely monitored, were set up so that smugglers could help families to escape from occupied France. Nowadays, illicit free-trading has turned into duty-free shopping and the mountain passes are left to the hikers whilst those in search of cheap booze and fags take to the relative safety of tarmac roads. Last week was the week of the “great sort out” since I was running out of storage space for files. 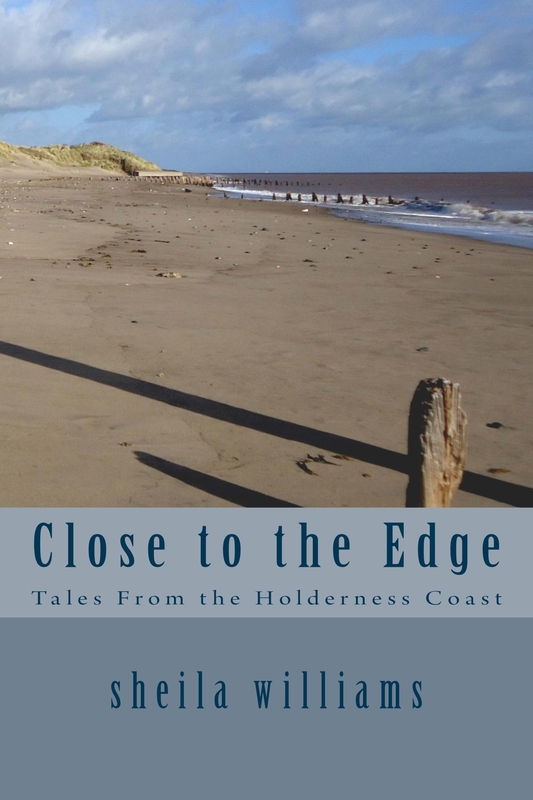 I came across my old notes for the book “Close to the Edge” and amongst them were the notes I made for the story of the monk and alchemist George Ripley of Bridlington Priory. In the margin of these notes I had scrawled – ‘check out Nicolas Flamel’. I never did check him out…until now. So who was Nicolas Flamel? He was a Frenchman (c1330-1418), a scribe and seller of books and manuscripts who apparently discovered (according to 17th century accounts) the secret of the Philosopher’s Stone – although that rather depends on which texts you read. His life is well documented…by himself. He had two shops in Paris, married a well-endowed widow and in their later years together they were both wealthy and philanthropic. Like many educated men in Medieval days he dabbled in alchemy and knew of the existence of a book which, once deciphered would reveal the secrets of the universe, how to make gold from base metal and how to live forever as a bonus. One day, as all good stories go, a man came into his bookshop wanting to sell a book. Flamel recognised it immediately (because an angel told him about it in a dream the night before), handed over a couple of florins without a quibble and became the proud owner. The book was that of Abraham the Jew, written part in arcane symbols and part in ancient Hebrew. For more than twenty years Flamel worked diligently trying to translate the text before deciding that he needed a bit of help from learned men within the Jewish community. At that time Jews were persecuted in France and many had fled to Spain and so, to Spain our hero must go. He dressed as a pilgrim and on his journey met a merchant who, just by chance you understand, was able to introduce him to a venerable Jewish scholar. He recognised the book for what it was and agreed to go to Paris with Flamel to work on its translation. Three years passed, the old scholar died, but Flamel managed finally to decode the book. He writes of his success in changing mercury into silver and then into gold. Apparently he put his new found skill to good and charitable uses, living quietly with his wife, working in his bookshops and dying at the age of 80. He was buried in the Church of St Jacques la Boucherie in Paris. He was not allowed to rest in peace though. Treasure hunters from near and far came looking for the red powder that acted as the catalyst to the transmutation. His house was ransacked and many of the sculptures he had commissioned were damaged with inscriptions and symbols torn off and carted away. And what happened to the book of Abraham the Jew? Flamel bequeathed his papers and his library to his nephew and for 200 years these were passed down from father to son and nothing more is heard of the book. Then, in the 17th century we hear of an hapless heir of Flamel who was daft enough to demonstrate to King Louis XIII the transmutation process. Cardinal Richelieu, the King’s advisor, took a keen interest and soon after said heir was carted off to prison, tried and ultimately executed. This gave Richelieu the right to confiscate all the man’s property. It is alleged that Richelieu had possession of the book until his death and after that it vanished. You can’t expect me to have a week in Ireland without coming back with some stories that intrigue me and although the tale of Grace O’Malley is not a spooky one, hers is a story that captured my imagination. 5th September 1593 a strange meeting was taking place between– Queen Elizabeth I and Grace O’Malley, the Irish Pirate Queen – both in their twilight years yet still fiery and not to be trifled with. Grace O’Malley had sailed from Ireland to England to plead her cause with the Queen directly.There must have been something about Grace that appealed to the Queen – perhaps because she was a bit of an adventurer at heart herself – but whatever the case she listened to Grace and granted all her requests much to the dismay of the Queen’s counsellors. Grace O’Malley was born around 1530 to clan chieftain Owen O’Malley. The family was a seafaring one, trading from the west coast of Ireland to Spain, Portugal and Scotland. Legend has it that the young Grace was keen to sail with her father’s fleet but with true sailor’s superstition, it was held unlucky to sail with a woman on board, so her parents tried to keep her at home. In response, Grace is said to have cut off her long red hair, dressed as a boy and stolen on board one of the ships proving she could handle the life of a seafarer. From then on she was a regular member of the crew and became a skilled sailor and navigator. When she was 16 she married Donal O’Flaherty, a good match strategically and politically. 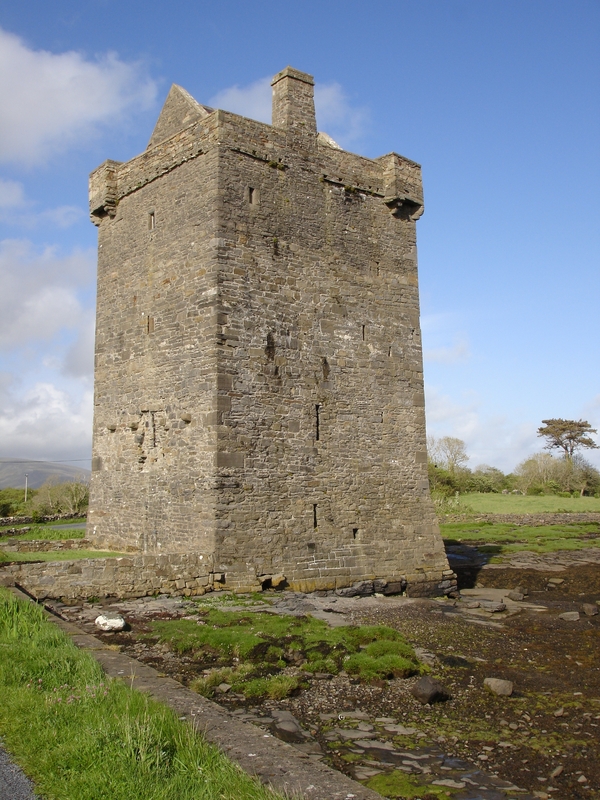 Donal was heir to the chieftain of the O’Flaherty clan and owned the castles of Bunowen and Ballinahinch. He appears to have been an angry and violent man with a quick and wicked temper. Throughout the 16th century Ireland was wrought by inter-tribal branglings, politics and power struggles – Grace’s marriage strengthened both family and tribal ties and protected their interests. Grace bore three children by O’Flaherty but never settled for the life of a “good” wife. The following years saw her taking over the fleet and managing the business and political dealings of the clan. Her ships were banned from Galway, a major trading port at the time and Grace was forced to take her cargoes directly to Spain, Portugal, Scotland and Ulster. Not one to be coerced she developed what she called “maintenance by land and sea” – an early protection racket. In other words she would have her ships lie in wait off the coast and on the approach of the slower merchant ships, she would bear down on them to offer the captain safe passage with a pilot in return, of course, for a suitable wodge of cash. If her protection was refused then she simply denuded the ship of everything of value. The protests of the merchants of Galway went unheeded. In 1560 her husband Donal was killed in yet another clan spat and Grace dealt with her husband’s killers … in a very permanent way. 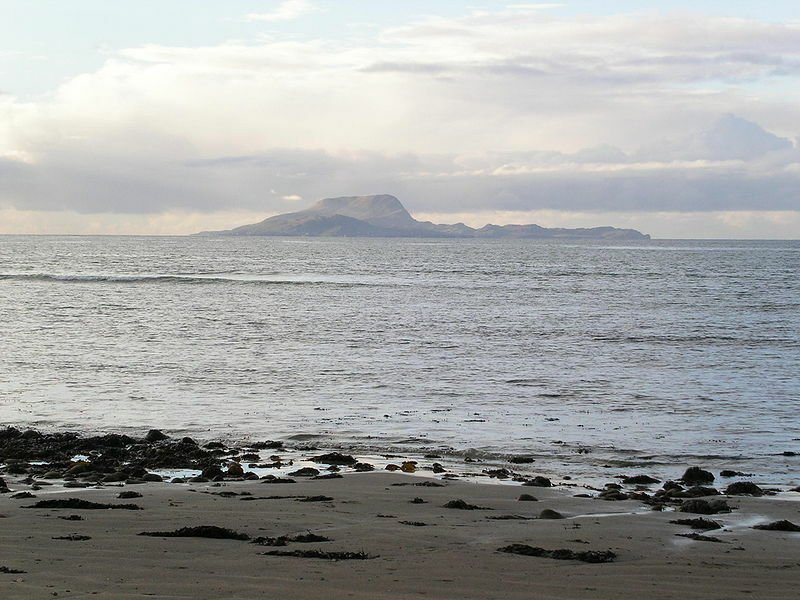 Under Irish law she was unable to inherit her husband’s goods and chattels which peeved her majorly, she returned to O’Malley land with her followers and established herself on Clare Island in Clew Bay. It was from there that she could extend her operations – the three P’s –pilots, protection and plunder. She and her followers became wealthy. Before long before most of Clew Bay was in Grace’s hands. To secure a foothold in the remaining part she married Richard Burke of Rockfleet. The marriage was arranged on a trial basis – each party agreed to give it a go for a year after which either party could divorce (under Irish law at the time). Grace duly gave it a year, moved her fleet and her followers to the castle at Rockfleet and gave Richard his marching orders… although afterwards she did help him several times to get out of sticky situations of his own creation – he seems to have been a bit of a thickie – and to achieve his succession as clan chieftain. Ireland was a hot brew of rebellion during the latter part of the century and was a cause of anxiety to the English especially as many of the Irish nobles had links with Scotland (also in ferment) and Spain. Clan chieftains swore allegiance to the English throne one day and then joined the rebels the next. The English were systematically trying to Anglocise (is there such a word?) Ireland by changing the laws and outlawing the age-old system that the clans used to elect their chieftains. Gradually though, more of the clan chieftains bowed to the inevitable and submitted to Elizabeth I and the English throne. During this time Grace moved carefully, picking her way through the turmoil, joining the rebels then swearing loyalty to the English Crown when politic to do so. She survived the threat of the hangman’s noose after being arrested for piracy and insurrection. Why she was freed is a cause of speculation. Some sources suggest that Grace was actually in the pay of Francis Wolsingham, Elizabeth’s spymaster and that her knowledge and insight about movements of ships particularly the Spanish fleet were too valuable to England to lose. When Richard died Grace, remembering that she was robbed (as she saw it) of her inheritance from her first husband, took matters into her own hands and made off with around 1000 head of cattle and her followers to take possession of Rockfleet Castle. The arrival of Sir Richard Bingham in Ireland as Governor of Connaught started a new chain of troubles for Grace and he became her chief enemy. Here was a man, ruthless, cruel and full of guile who was totally dedicated to wiping out the old Irish laws, customs and way of life. It was he who took Grace prisoner and appropriated all her cattle and lands leaving her destitute. And so Grace, the Pirate Queen met Elizabeth I the English Queen and it appears that the two ladies got on well together. It must have been a strange meeting – the elderly regal Elizabeth and the weather-beaten Irish pirate, yet there were common strands in their lives; both knew power and how to use it; both had spent much of their days fighting for their rights and their lives. The outcome of the meeting was a letter from Elizabeth to Bingham ordering him to release Grace’s son and brother and restore all her property. Furthermore she informed Bingham that Grace had the Queen’s permission to “fight in our quarrel with all the world” without let or hindrance as it were. With the security of the Queen’s letter behind her Grace resumed business as usual, eventually dying in (it is suggested) 1603…coincidentally the year of the death of Elizabeth.